Stalled legislation that could temporarily take away guns from people deemed at risk of harming themselves or others may soon see action in the GOP-controlled Michigan Legislature, nearly one year after being introduced. Runestad stopped short of committing to hold a hearing on the bills, but said he’s open to considering legislation that addresses mental illness and gun violence. Leading candidates for Michigan governor, meanwhile, offered dramatically different responses to the legislation, with Democrats supporting such a law and most Republicans saying they would need more time to study such a measure. Runestad said he’s concerned that numerous warning signs were missed — including troubling items on social media — about the alleged Florida shooter. “Certainly, this kind of mental health issue … should have raised a heightened concern to get involved very seriously in this case,” Runestad, of White Lake Township in Oakland County, told Bridge Magazine. Five states — California, Oregon, Washington, Connecticut and Indiana — have the type of law that Wittenberg and Democratic state Reps. Stephanie Chang, of Detroit, and Jon Hoadley, of Kalamazoo, want the House to enact here. Related: Did a Michigan campus narrowly avert a massacre like the Florida shooting? The “red flag” laws would allow a court to intervene and seize someone’s guns before a crime has been committed. Similar legislation is proposed in Michigan and 17 other states. Supporters say the legislation would take steps to prevent mass shootings by giving law enforcement officers the ability to take guns out of people’s hands before anyone is harmed — rather than after. Opponents, including the National Rifle Association, say the measures infringe on Second Amendment rights to keep guns without due process. “Thoughts and prayers don’t get anything accomplished. 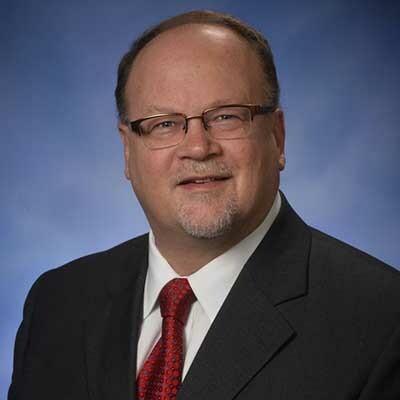 There has to be action,” said Wittenberg, of Huntington Woods in Oakland County, referencing a common sentiment — offered particularly by Republicans — after mass shootings. 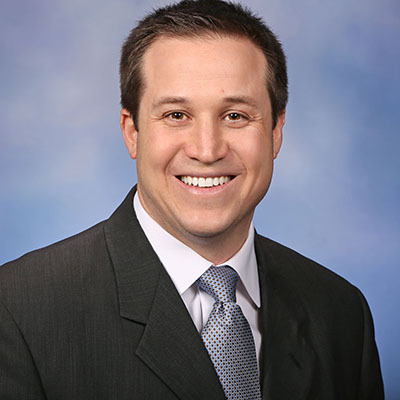 State Rep. Robert Wittenberg, D-Huntington Woods, introduced a bill last year that would allow a person’s guns to be seized if a judge decides that he or she is an “extreme risk” to self or others. It hasn’t gotten a hearing in Michigan’s GOP-controlled Legislature. Wittenberg proposed the legislation in June. Since then, a gunman shot and killed 58 people at a country music concert on the Las Vegas Strip, injuring hundreds more; 26 were shot and killed at a Baptist church in Sutherland Springs, Texas; and last week, a troubled former student, Nikolas Cruz, allegedly opened fire with an AR-15 rifle in Parkland, Fla. In Michigan, the bills would allow family members or police officers to ask a court to issue an “extreme risk protection order,” which would prevent the subject of the order from buying or owning a gun for up to a year. It also would allow law enforcement officers to seize guns in the person’s possession. An order could be granted if a judge decides “there is reasonable cause to believe that the defendant poses a significant risk of personal injury to himself or herself or others by possessing a firearm,” according to the bill. That could include evidence showing someone has threatened or previously inflicted injury on himself or herself, or other people. That said, the subject of the protection order would not need to be present when the order is issued, according to the bill, though it would be required that he or she is notified and given an opportunity to appeal it. Republicans are non-commital. Many, including House Speaker Tom Leonard, said they haven’t read the bills. “Mental illness is really at the root of these sorts of mass shootings,” said Gideon D’Assandro, spokesman for Leonard, R-DeWitt. If it doesn’t gain traction while Republicans control both the House and Senate, the bills face an uphill fight. Wittenberg introduced a similar bill during the last legislative session, which didn’t leave committee. A separate package of bills that would grant exemptions for someone to carry a concealed firearm in so-called “no-carry zones,” such as schools, is “indefinitely on ice” in Runestad’s committee after it passed the Senate in November, Runestad told Bridge. State Rep. Jim Runestad, R-White Lake Township, leads the House Judiciary Committee and said he will read proposed legislation to create an “extreme risk protection order” that could allow guns to be seized from someone considered a risk to self or others. Meekhof has not read the House bills, McCann said. D’Assandro said Leonard, the House speaker, is waiting to see what actions the Judiciary Committee takes. Yet Leonard has made reforming Michigan’s mental health system a priority, primarily as it relates to treatment and access to services, D’Assandro said. He would not elaborate to say whether access to guns by the mentally ill would fall under an umbrella of proposed mental health reforms. “A big thing for (Leonard) has been early intervention and (creating) that kind of access to services and get help before things become a problem,” D’Assandro said. Anna Heaton, a spokeswoman for Gov. Rick Snyder, told Bridge he won’t comment on legislation that hasn’t made it to his desk, given the likelihood that language could change before then. “The governor has been clear that improving mental health treatment needs to be part of the discussion when it comes to solving larger problems related to gun violence, and that’s where his focus is right now,” Heaton said. Bridge asked all of the declared candidates for governor for their stances on the legislation. One of the leading Republicans, Lt. Gov. Brian Calley, did not respond to repeated requests for comment. Schuette's spokesman, John Sellek, wrote in an email that the candidate has worked to combat school violence during his time in office through the OK2SAY initiative, but did not offer his position on the red flag proposal. "America is facing a mental health crisis and we must find ways to provide resources to help those who are hurting or may hurt others," Sellek wrote, adding, "Schuette also has deep concerns with the general coarsening of our culture, where casual violence and killing is treated as mere entertainment, especially when it is directed at our youth. We have not seen these bills but we will look at them as we review all the factors that may play a role in finding more solutions, like OK2SAY, to stop violence." A spokeswoman for state Sen. Patrick Colbeck’s Republican campaign for governor declined comment on the bill, and “because it deals with a constitutional right, he would have to see what thresholds would be in place before restricting it.” He is from Canton Township in Wayne County. All of the Democratic gubernatorial candidates supported the legislation. "Our law enforcement are sworn to protect our communities, and we must give them the tools they need to keep dangerous weapons out of the hands of those who would do harm,” former Senate Minority Leader Gretchen Whitmer of East Lansing wrote in an email. Abdul El-Sayed, the former Detroit health director, wrote in an email the bill is “a strong first step toward getting guns out of the hands of people who shouldn’t have them. But we have to go further,” adding that “comprehensive, common sense gun reform” would require a variety of changes to Michigan’s firearm laws. “The notion that the Second Amendment guarantees the right to bear arms does not negate responsible gun ownership or state intervention when there are legitimate concerns for the public welfare,” Bill Cobbs, a former Xerox executive, wrote in an email. In December, Wittenberg, Chang and Hoadley also introduced legislation that would impose universal criminal background checks on all firearm sales. The bills are pending in Runestad’s committee. “The urgency has always been there in my mind, and in a lot of our minds, because it’s not like gun violence or these mass shootings are a new issue,” Chang said of the red flag legislation. Not only is this the beginning to a very slippery slope, but it fails to address weapons that the government doesn't have any record of. And how would the bills sponsors propose addressing THAT minor problem? Absolutely preposterous! The approach of the red flag laws is to seize guns from people who have them and to restrict their access until they are no longer deemed dangerous. Under this skewed logic, Democrats would forcibly remove legally owned firearms from law-abiding citizens, because someone accused them of "considering" a crime against themselves or others. 2) The 2nd Amendment is very clear: "SHALL NOT BE INFRINGED"
No-one (and I mean no-one) has the right, on a whim, to deny me (or any other lawfully able American) the ability to freely defend themselves from anyone else that might seek to hurt or harm them. The right to defend oneself is not a right given by man to man, but by God to man. And it can never be taken away. 3) Federal studies (by the FBI and others) empirically have shown that the former "assault weapons ban" did nothing to stop crime. The 1997 study said its analysis “failed to produce evidence of a post-ban reduction in the average number of gunshot wounds per case or in the proportion of cases involving multiple wounds.” Moreover, in 2015, the latest study we have (http://marginalrevolution.com/marginalrevolution/2016/06/fbi-homicide-da...), only 248 people were murdered by rifles. On the contrary 1567 people were murdered by knife. According to those on the left (the same people who claim people on the right are science deniers), in this instance, refuse to accept the "science" behind the study, thus furthering the absolute hypocrisy on the left. So, until than, Molon Labe! Oh no another gun bill to save us from someone with evil intent....except the gun bills don't need a legal process to confiscate firearms. And once they do confiscate fire arms, we still won't be safe.....How is that laws can't solve roads, bridges, infrastructure, drug usage, drunk driving, but can take care of all the gun problems with just one more law? This is just another democratic victimization prop. Can't solve anything else, so politicians just use children to win another election. I still hear no one from the legislative or executive branch of government challenging the public pressure to ask the basic question, "can we legally and constitutionally even pass that gun-control legislation?" If they truly believe it is the right of the people to keep and bear arms, they just need to stand up and say, "WE CAN'T, BECAUSE THE CONSTITUTION WON'T LET US!" Nothing effective to effect guns or the folks who commit crimes using these implements will ever be done by our legislators. It all boils down to the reason why the founders put a right to bear arms into the second spot in the Bill of Rights. The people needed arms to overthrow their governments when that became necessary. Beyond rebellion, the founders anticipated that arms in the hands of the public would bully politicians to do the right thing-to correct the lesser corruptions. In this latter case, 3-600 million guns in private hands serve to deter politicians from gross abuses; when the miscreants get caught out, the unacknowledged but ever present force of arms ensures honest enforcement of the law. The bullying effect also constantly weighs on politicians who would deprive us of the sharp teeth in the 2nd amendment that enforces our Bill of Rights. 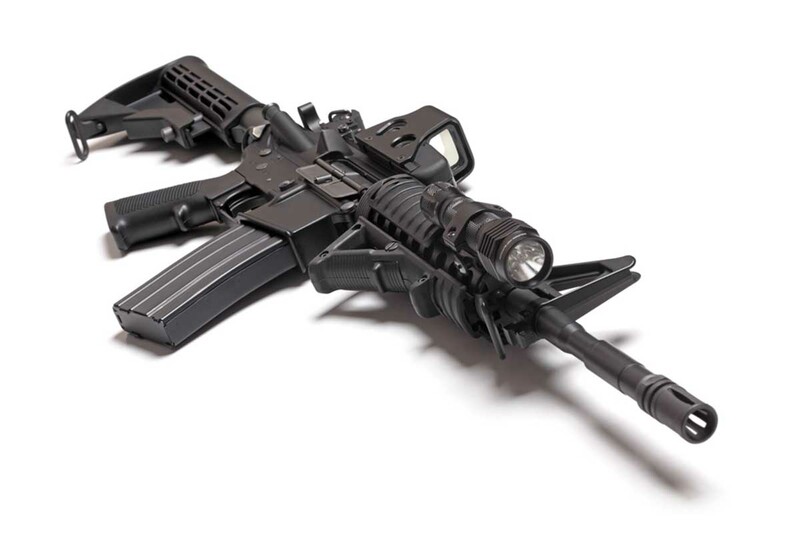 The unspoken “existential phenomenology” in the USA is that we’ll let Democrats and foreigners whine and fantasize about how they’ll prevent the purchase of ordinary rifles by as yet unidentified terrorists fated to commit crimes like those in Florida. A few even advocate taking away millions of small arms. These politicians do their work in fortress like buildings with metal detectors and armed guards at the doors. In this relative safety politicians publicly feel free to bluster for gun control for the benefit of their constituents, and work anxiously in the shadows to be sure that the arms status quo remains unchanged.They are terrified of the civil unrest that such a foolish disruption would unleash. Interestingly, they feel safe in scapegoating the NRA, but then the NRA doesn't shoot politicians. Arms in the hands of the people leads to occasional tragedies. Unarmed people suffer defenselessly genocides perpetrated by armed men. And our politicians will posture endlessly in public, telling the people and the press about their latest big ideas and then retreat to their fortresses and ensuring their own longevity by nixing anything that will disturb the gun owners who ultimately hold power. Sickening response from the GOP candidates. The NRA (National Russian Association in honor of their laundering money for the Russians to swing our election to Trump) totally owns them. School kids - expendable on the altar of gun worship. Problem is to buy a gun you can't be insane (yes a tough definition) and check that box on the form. Unless you want to remove this restriction? It is in the interest of every current and future gun owner to make this requirement mean something real. The ultimate go or no go on this proposal's hold would end up being a person's family or personal doctor, a much better option than the state taking and making this decision. The Washington-based Coalition to Stop Gun Violence (CSGV) is a 501(c)(4) organization founded in 1974 has been working on these issues for significant time. (https://www.csgv.org/about-us/) CSGV’s guiding principle is simple: "We believe that all Americans have a right to live in communities free from gun violence. We pursue this goal through policy development, strategic engagement, and effective advocacy." Their website and policy proposals can help educate on what is already out there and known to be effective. Although it sounds good in theory, I see huge potential for abuse by both government and family members. And the guns are seized without compensating the owner fair market value? Some people have invested thousands in their legal collection. I don't see how it can be done without violating the constitution. Please give us the source of information for your comment. Americans have a privilege to live in groups free from firearm brutality. We seek after this objective through strategy improvement, vital commitment, and viable backing.